Shimla : Observing that the state government resorted to a pick-and-choose policy in opening new colleges, the Himachal Pradesh High Court has directed it to open a new degree college before August 15. 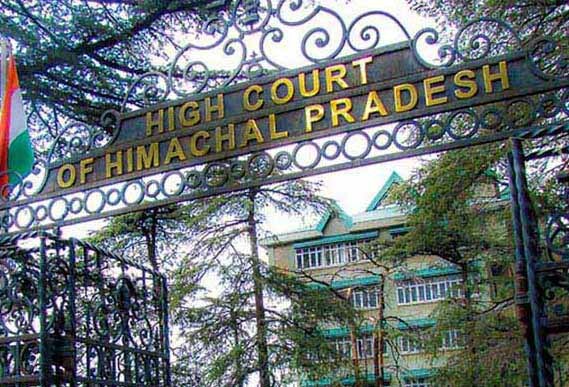 The Himachal Pradesh High Court has directed the state government to open a new degree college before August 15 while observing that the government resorted to a pick-and-choose policy in opening new colleges. Quashing and setting aside the Himachal government’s decision of March 2, 2013, to de-notify the degree college at Kotla Behr in Kangra district, a division bench of Justice Rajiv Sharma and Justice Sureshwar Thakur directed that the college be made functional not later than August 15. The state government took a conscious decision to open eight degree colleges, including Kotla Behr, vide notifications dated September 6, 2012, and December 20, 2013, the court said in its judgment which was provided to media on Wednesday. Though the Himachal government de-notified opening of eight colleges on March 2, 2013, it later decided to re-open seven colleges, except at Kotla Behr. “No justification has been given why seven colleges were re-opened on the same facts which were applicable to the college at Kotla Behr. Thus, there is arbitrariness and unreasonableness in the decision-making process for opening of new college at Kotla Behr,” the court said delivering the order on Monday. Official sources told that the decision to open eight colleges was announced by the previous Bharatiya Janata Party government. The Congress government, which came to the helm in the state on December 25, 2012, de-notified opening of eight colleges. Later, it decided to re-open the colleges, excluding at Kotla Behr. Petitioner Asha Ram and others challenged the government decision to exclude Kotla Behr from the list of re-opened colleges. Government counsel said the decision not to open the college at Kotla Behrwas a “policy decision”.